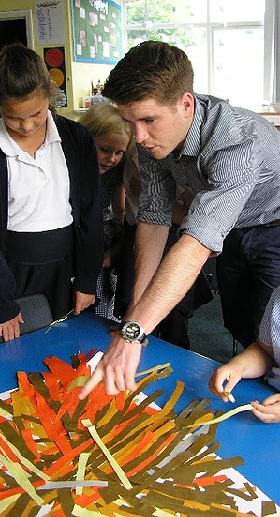 Our Primary and Early Years courses are through the School Direct non-salaried training route. School Direct is a one year Initial Teacher Training programme where the trainee teacher spends the majority of the time within a school setting. There is an expectation at the end of the training that the trainee teachers will go on to work within the group of schools where their training took place. However there is no guarantee of employment at the end of the course or of an interview for any suitable posts available within the KCP schools. We will work closely with you to support applications for your first teaching position and arrange ‘mock’ interviews led by experienced local Head teachers. 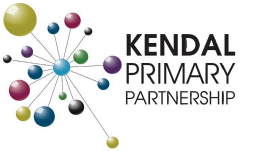 Our courses are led by the Primary and Nursery schools within the Kendal Collaborative Partnership (KCP). In total there are 15 schools working together to train the next generation of outstanding teachers. Our courses bring together the breadth of expertise from within all of our partner schools, complimented by staff from one of the largest Teacher Training Universities in the country. You will join a true learning community where staff and students alike are interested in reflecting and researching the pedagogies of teaching and learning, always striving for excellence. Your learning will be underpinned by the academic philosophy of the Cumbria teacher while applying your learning in a variety of classroom settings. This will enable you to develop the craft of teaching at the same time as reflecting on the impact on pupils, students, the school and the wider community. We are a very experienced alliance. We have worked with the University of Cumbria for over 20 years. Our schools have employed lots of graduate teachers from the University, many of whom had been on placement at the school that subsequently employed them. A number of our staff have been involved in devising the PgCE programme and lecture at the University, delivering sessions on both subject specialisms and wider educational issues. In addition, our alliance also employs staff who have worked in Teacher Education at the University of Cumbria. Train to teach in a range of schools that are very experienced at delivering high quality teacher training within a wide variety of contrasting educational contexts. The Kendal Primary Partnership (KPP) is proud to be working in partnership with the University of Cumbria (UoC) for School Direct. If you study with us, you will be working towards a PgCE course at Masters level which will lead to Qualified Teacher Status (QTS). ​For further information on the course please use the links (below) which take you to the generic programme specification for the University of Cumbria’s PgCE programme which is identical to ours apart from the UCAS code.